Summer can be hard to get through on really hot days, and evaporative cooling systems are so helpful during this time of year. Evaporative cooling is when a central cooling unit is connected to a series of outlets throughout your home. The cooling unit draws fresh air through moistened pads. As it passes through these pads, the air is cooled and filtered before flowing through the ductwork and into your rooms. It is very similar to a cool sea breeze at the beach. However, what if your unit breaks down, leaving you stranded in a hot house or office? That is no fun for anyone, making the blistering heat that much worse. Fortunately, Everlasting Air not only installs air conditioners, but we also perform evaporative cooling repairs, maintenance, and inspection in Melbourne homes. 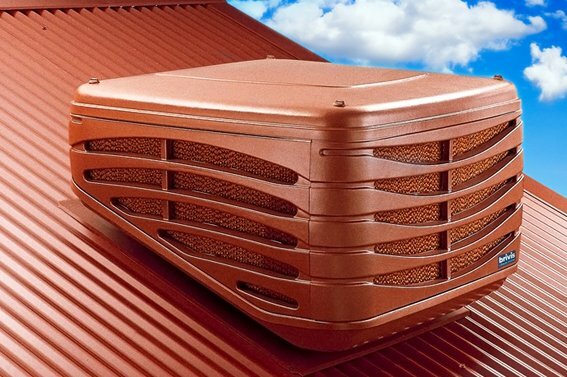 If your evaporative cooler has stopped working, do not hesitate to call us. We will send one of our friendly and qualified technicians who will inspect the unit and discuss with you about how much it will cost to repair it, or if you need a new system altogether. They will fix your evaporative cooler as quickly as possible. Like any type of machine, evaporative coolers should be serviced to ensure that it will always run smoothly and not inconveniently break down on a 40° day. Breakdowns can be caused by dust, dirt, and pollen building up inside the filer pads and water distribution system of your evaporative cooler over time. Everlasting Air recommends that you contact us to perform our evaporative cooling repairs in your Melbourne home either shortly before summer begins or in early December. Does your evaporative cooler need to be serviced? Call Everlasting Air today on (03) 9335 2900 for a consultation.